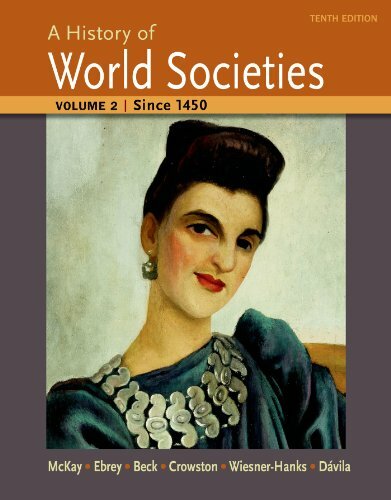 Long praised by instructors and students for its accessible regional chapter structure, readability, and sustained attention to social history, the tenth edition of A History of World Societies includes even more built-in tools to engage today’s students and save instructors time. This edition features thoroughly revised chapters by new author and Latin American specialist Jerry Dávila, an expanded primary source program in the text and online, and the best and latest scholarship throughout. The tenth edition presents LaunchPad, a new intuitive ebook and course space with LearningCurve adaptive quizzing and a wealth of activities and assessments that help students make progress toward learning outcomes. LaunchPad features primary source activities, map and visual activities, adaptive and summative quizzing, and a wealth of optional resources, including carefully developed Online Document Projects for each chapter with auto-graded exercises.